and down the East Coast from New England to the Bahamas, or on the West Coast from San Diego to Seattle. Whatever your goal, Offshore Sailing School’s ocean sailing courses provides ultimate offshore passage making skills to build long distance sailing confidence. If you have US Sailing Bareboat Cruising Certification earned in OSS 103/104 and 101/103/104, the next step is the Coastal Passage Making Course (OSS 106), an exciting long distance sailing adventure that takes you to far away points. You navigate non-stop, manage whatever Mother Nature conjures up, and learn what it’s like to be a long distance live aboard sailor, experiencing night time sailing. To earn Coastal Passage Making Certification, you must also gain Coastal Navigation Certification (OSS 105), which Offshore Sailing School includes in the Fast Track to Coastal Passage Making Course. 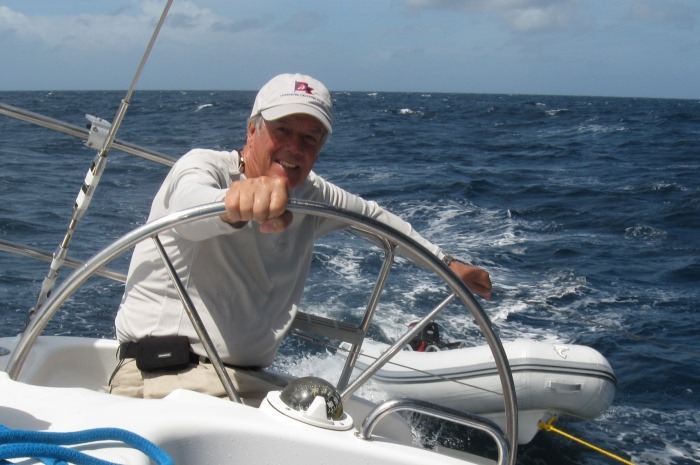 Steve is a veteran racing sailor and Olympian who has done nine TransAtlantic Races, 20 Newport-Bermuda Races, seven Fastnet Races, two America’s Cup trials and countless other competitions and long passages in his more than 70 years of sailing. 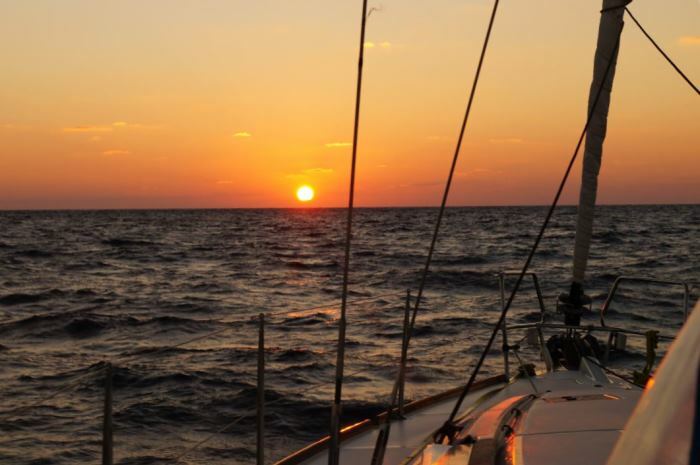 If you are indeed moving towards a long passage over vast ocean stretches, your first passage making sailing school experience could make or break your desire to pursue that goal. Offshore Sailing School’s Passage Making Course (OSS106 and OSS 108) curricula are carefully developed by Steve Colgate and the National Faculty of US Sailing – the governing body of sailing in the United States, appointed by Congress. Offshore Sailing School teaches no more than four students with an experienced long-distance cruising instructor on a Coastal Passage Making Course (OSS 106), six students on Offshore Passage Making Courses (OSS 108) where you stand watch with two instructors aboard. Combine Offshore Passage Making with our Celestial Navigation Course and you will be fully prepared for any conditions on the high seas. Check out our Celestial Navigation Course video highlights from South Seas Island Resort here. Don’t let anything stop you now. Sign up for an ocean sailing course and go sail the seven seas, like one of our early Offshore Sailing School graduates Bill Pinkney – the first and only African-American to sail around all five capes, solo! And, yes, there are five capes.